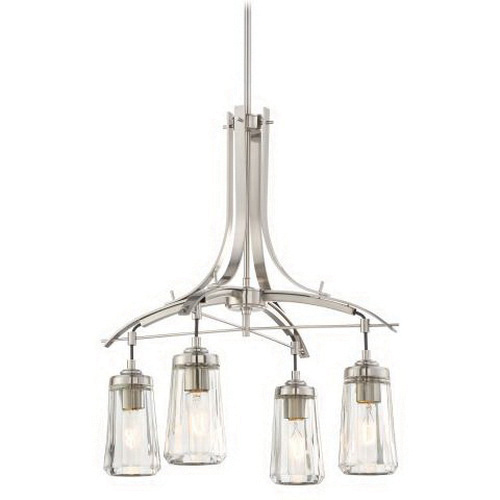 Minka-Aire Poleis Collection 4-Light chandelier in brushed nickel finish, has 3.75-Inch x 3.75-Inch x 6.25-Inch glass shade that brings elegance to the home. This chandelier uses four 60-Watt E26 medium T10 lamps. It measures 21-Inch x 21-Inch x 23.75-Inch. This chandelier comes with 72-Inch chain for easy installation.